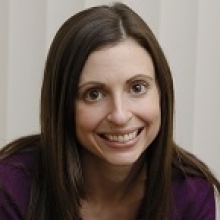 DC CFAR investigator, Sarah Calabrese, PhD, has published an article in AIDS in Behavior entitled, "A Closer Look at Racism and Heterosexism in Medical Students' Clinical Decision-Making Related to HIV Pre-Exposure Prophylaxis (PrEP): Implications for PrEP Education". This article discusses the issue of social biases among healthcare providers potentially limiting PrEP access. The researchers conducted a survey study of 115 US medical students that examined associations between biases (racism and heterosexism) and PrEP clinical decision-making, explored prior PrEP education as a potential buffer. Findings included that heterosexism may compromise PrEP provision to MSM and should be addressed in PrEP-related medical education.